Boy, oh boy! While quilts full of appliqued butterflies and flowers have always been popular quilting designs, these pretty patterns do not exactly impress toddler boys. The editors at FaveQuilts know that picking an appropriate quilt pattern for your favorite little guy can be tricky. To help you choose the perfect kid’s quilt pattern for your son, grandson, or another beloved child, check out these 8 projects featuring some of our favorite patterns for boy quilts. 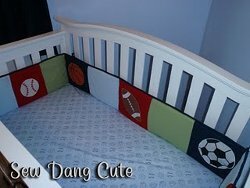 Sporty Crib Bumper — Make a homemade crib bumper to protect your tiny sports fan. Follow this easy tutorial to learn how stitch together the ultra-soft fabric and applique quilted shapes of basketballs and footballs on this cute bumper. 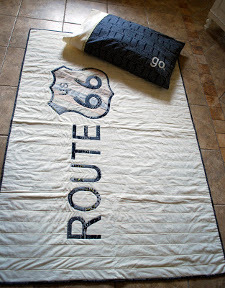 Route 66 Quilt — If you want to make a quilt for a little race car fan, you will love this simple, yet professional-looking design for a Route 66 Quilt. Use the provided template to complete this piecework and appliqued pattern for a toddler boy’s bed spread. Sporty Applique Throw Pillow — This Sporty Applique Throw pillow will be much appreciated after a long summer baseball game! 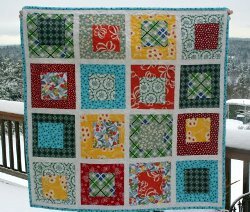 Check out this tutorial to learn how to machine applique a pillow with this great brightly-colored quilting idea. Wonky Bugs Baby Quilt — Check out this free baby quilt pattern to learn how to make a wonky quilt with creepy-crawly (but cute) bug prints. As a bonus, this full pattern is also a great opportunity to work on your free motion quilting technique. Mr. Skeleton Bones Pirate Quilt — Boys will love the swashbuckling theme of this adorable fusible applique quilt. 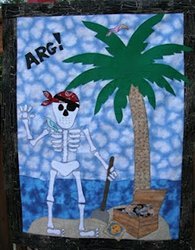 The Mr. Skeleton Bones Pirate Quilt is one awesome kid’s applique quilt patterns to add to the bedroom of any little boy with a taste for adventure. 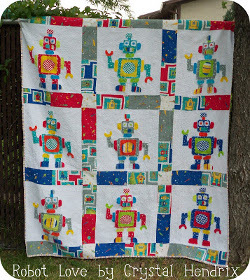 Robot Love Quilt –For a boy who’s more into technology and gadgets, this Robot Love Quilt pattern is sure to impress. The silly easy charm pack design is constructed out of individually-stitched happily waving robots. Although the out-of-this-world design of this quilt makes the perfect size for a younger boy’s bed spread, it is easy to enlarge all the fabric measurement to construct a bed quilt for an older boy. 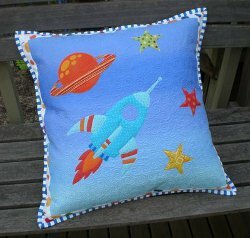 Rocket Ship Pillow: Learn how to sew pillows with a cool fusible appliqued rocket ship design for a little boy interested in outer space. This nifty quilt pattern depicts a whimsical scene of a ship and planets swirling into an ombre blue background. If you’re really feel creative, perhaps you can even applique friendly green aliens onto this fun quilted pillow for children. No matter if they love baseball, aliens, or just getting messy, these kid’s quilt patterns are sure to delight any beloved boy in your life. Be on the look out for our upcoming post about fantastically free quilt patterns for your favorite little girl. Which boy’s quilt pattern have you made in the past? The Around the Year Quilt Book: Rosie & Bear Calendar Quilt from Bustle & Sew by Helen Dickson is a delightful block of the month pattern for quilters and stitchers alike. Each simple quilt block frames an embroidered scene of a little girl and her stuffed bear enjoying the different months of the year. The Rosie & Bear Calendar Quilt is inspired by Dickson’s memories of her own daughter, Rosie, and her toy Bear. You can use Dickson’s designs to make an adorable quilt for a new baby in your family or a gift for a child or grandchild. The scenes of Rosie and Bear are so charming, you’ll fee like you’re reading a children’s storybook when you’re looking at this quilt. Little ones will delight in following the adventures of Rosie and Bear. 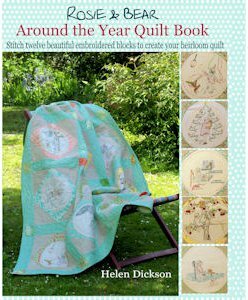 FaveQuilts.com is giving away one copy of Around the Year Quilt Book to one lucky winner. It could be you! Contest ends November 13, 2012. You can enter once daily, so return often to improve your chances of winning! For the Kids: Reindeer, Snowmen and Santa Oh My! For all you parents out there who have heard “Is it Christmas yet?” too many times to count, here is OUR Christmas gift to you: A bunch of easy Christmas crafts to keep your little ones occupied until Santa comes shimmying down the chimney! With a whole week off of school, plus all that extra sugar from Christmas cookies, we know that kids are probably going to be bouncing off the walls with excitement all the way up until the 25th. That’s why we decided to seek out the best kid-friendly craft projects to keep them occupied while waiting for the much-anticipated Big Day. From simple ornament crafts to Santa and reindeer-themed decorations and a whole lot more, there are a bunch of easy projects that kids will love to make! We can say that with confidence because all of these simple Christmas crafts for kids come from bloggers who have their own children, so that means these crafts are tried and true crowd pleasers, and for kids of all ages too! One of my absolute favorite ideas from this collection of 21 Simple Christmas Crafts for Kids is this adorable Lend a Hand Christmas Tree project. I love that kids get to get a bit messy with this craft, but not so messy that you’ll be regretting this idea come cleanup time. Plus kids will love decorating their “trees” with fun embellishments (i.e. whatever you can find around the house). Buttons look adorable, but I’m sure you can find a bunch of other cute things to glue onto your trees! 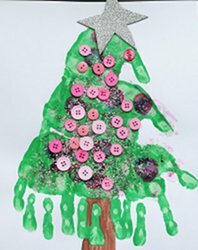 I also love the idea of having each of your kids paint their hands a different shade of green so that when you’re done, your tree will be pretty and multi-colored, and each kid can see their imprint (literally) on the tree! So clever! There are so many more fun ideas in this collection of 21 Simple Christmas Crafts for Kids, but I don’t have time to tell you about them all because I need to go do some last-minute gift crafting … not to mention wrapping! So simply click over to the collection page to see all of the fun kid-friendly projects for yourself! And don’t forget to tell us which ones you decide to make with your family… we’d love to hear about your creations! Oh, and one last thing! We’ve also created a handy-dandy free eBook with some easy kids’ Christmas crafts that you can print out and take with you if you’re traveling this holiday season. The eBook is available for free download here. You’ll be happy you printed it out when you’re at your relatives’ house and the kids are itching for something fun to do! Hope you and your little ones have a very merry Christmas full of lots of creativity! Tell us: What’s the most fun Christmas craft you’ve made with your kids in years past? 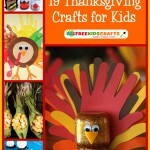 Relive Your Childhood with Kids’ Christmas Crafts! There’s something about Christmas that makes us all kids at heart. I know that I, for one, get giddy at the sight of Christmas lights, I can’t resist singing along to Christmas carols when they come on the radio, and I’ve even been known to take a picture with Santa at the mall (as an adult). The holidays seem to have this magical power to make us feel carefree for several weeks, no matter what other craziness we have going on in our lives. Christmas is a time to slow down, relax and enjoy being with loved ones. With that in mind, the editors over at AllFreeHolidayCrafts decided to put together a collection of kid-friendly Christmas crafts that will help get the whole family in the Christmas spirit! From ornaments to decorations to snowman crafts, there are a ton of ideas for your little ones to choose from in this free eBook. Download your copy today and store it away for a day when the kids are bored and complaining about being stuck indoors; these crafts are the perfect snow day activities. Plus, if you get your kids crafting, that means they’ll be spending less time in front of the TV which is always good news! Turn a pair of old socks into one of the cutest Christmas tree decorations ever with the Sock it to Me Snowman Ornament project! I love the snowman’s little hat and the overall soft and cheerful look of this adorable ornament. Kids will get a kick out of cutting up their socks and hanging them on the tree. To find the step-by-step instructions, head to page 7 of the eBook! Who wouldn’t love the idea of un-meltable snowmen? When it’s too cold and nasty to go outside and make a real snowman, gather the kids inside and make these fun and fluffy No-Melt Snowmen. They’re super easy to create and kids can choose their own design for the hat and scarf. This is a great project for young kids because there’s minimal cutting and no specific pattern to follow. So let them get creative (and a bit messy) making their very own mini snowmen! The instructions are on page 13 of the eBook. There are several reasons why we like this Recycled Bottle Top Xmas Tree craft so much. First, and probably most important, is because you probably already have all of the necessary supplies on hand. 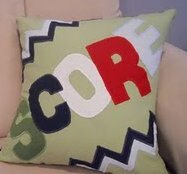 We know that parents are busy and don’t necessarily have time to head to the craft store for materials, so this project is perfect. Just round up some buttons or other shiny nick-knacks and use those to fill the bottle tops. The second reason we love this craft is that you can make it into whatever you want… a card, an ornament, or just a fun decoration for the wall. Find more details about this cool and creative project on page 5 of the eBook. That’s just a sneak peak of what’s inside this holiday eBook. Make sure you download your copy (for FREE!) today so you’ll have it on-hand for when the kids start their Christmas break! And don’t forget, there are plenty more ideas for kid-friendly Christmas crafts over on the AllFreeHolidayCrafts site, so head on over whenever you’re in need of a little inspiration! I’m curious: What was YOUR favorite Christmas craft to make when you were a kid? Am I sounding old fashioned? Whatever happened to special nights with the kids? Turning off the TV and using our minds and creativity to entertain instead? 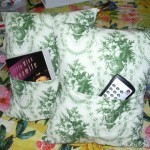 It’s hard to imagine life now without an IPod in one pocket and a cell phone in the other. We seem to move from being in front of one computer screen to another without thinking twice. It has me thinking that maybe “mom” was right about holding family nights where the entertainment was paper, glue, crayons, a hook, some yarn, and more. Have you ever wanted to get to know your child better or find out what’s really going on in his or her life? Reaching a child’s heart and mind is easily done when tapping into their creativity energy. Set up a table to be your “Creative Getaway”. Remember it’s not about what you are creating. The moulding of play dough, meticulous stacking of popsicle sticks, choosing colours, the little dab of sparkles here and there are just side-effects to what’s really happening. This is creating a gateway to open communication as the parent and child express their own creativity; some of the best stories can be shared. Wonderful conversations occur as you are working side-by-side and you don’t even realize it at the moment that you are connecting. You’ve opened the door to communication that won’t close when you’ve completed the craft. Remember, it’s not up to you to criticize the child’s project whatsoever.Instead, embrace their uniqueness and effort. Who cares if the child is painting a monkey pink! The child could be testing the parent’s imagination too and maybe colouring outside the lines is a form of art. This is a perfect opportunity to listen to the child’s stories and thoughts. Be sensitive to the child’s expression of individual creativity, as well as the information they are sharing. Here’s a personal experience of mine. A child thought he was being bullied by a school teacher. The Creative Getaway approach of listening to child’s story helped remedy the situation when the child could see it from a different perspective. I asked the child what he would do if he was the teacher and he had to deal with his behaviour. What could he do to change that relationship? Explaining a point of view while at the Creative Table was neutral ground. A few months later, that same child ended up nominating this particular teacher to a TV Station for ” Teacher of the year”. Hard to believe I know, but it works. “Mom” used to say we had a “date” on Wednesday Nights. She knew what was going on in our lives and we, as children, didn’t realize we were the ones spilling our guts! We got things off our chest and we connected… all because of creativity! Smaller bodies mean smaller clothes, which means less fabric. Less fabric means less money, less time, and less hassle. Kids look good in anything, so you don’t have to worry about tailoring anything to flatter their figures. 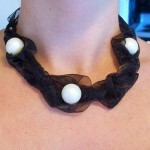 You can make all the ruffles, bows, fabric flowers, and other frills that you want if you’re sewing for a little girl. Stuffed toys are quick and easy, especially for beginners (plus, they’re adorable). Kids keep growing, so you get to keep sewing! …there are no cons. In that case, let’s get sewing! If you’re interested in learning how to sew for kids, check out this article on free kids sewing projects. Do you do a lot of sewing for your kids? What’s the best part about it? Mary Talalay, a writer for Kiwi Magazine, sent over this awesome idea: I took my daughter’s finger paintings and turned them into light switch covers. I laminated them, cut them to size and attached them with the existing screws from the plate. 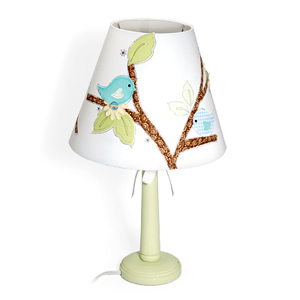 Bird and Branch Lamp– I love the design of this pretty bird and branch lamp, which would work for a nursery or older children. DIY Road Play Mats– Like many boys, my nephew is obsessed with cars and trucks. He would love these road play mats as a track set up on a low table or just as decoration for his room. 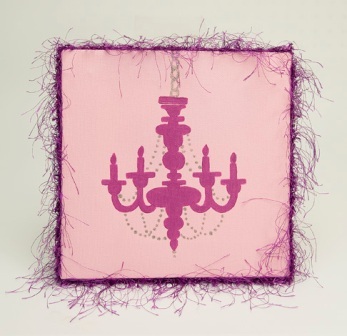 Pink Chandelier Wall Art– This pink wall art is just perfect for a little girl who fancies herself a princess. Knit for Kids provides handmade knitted or crocheted sweaters to needy kids all over the world. At this time, they’ve sent over 600,000 sweaters and are trying to reach 1 million! Knit for Kids is run by the not-for-profit organization Guideposts, which publishes inspirational magazines, books and web content. They offer free distribution of this content to hospitals, military and families in need. Founder Dr. Norman Vincent Peale, author of the famous book The Power of Positive Thinking, is considered one of the foremost motivational speakers of the 20th century. Knit for Kids offers three knitting and one crochet pattern for the sweaters, but they do accept sweaters made with different patterns. They do ask that donations have no buttons or ties for child safety reasons. They accept sweaters for children aged 2-10, but no infant sweaters at this time. Sweaters should be sent to Guideposts Knit for Kids, 39 Seminary Hill Rd., Carmel, NY 10512. They also welcome suggestions for places in need at email address knitforkids@guideposts.org. You can donate yarn or monetarily directly to the organization if you do not knit or crochet. For more information, visit the Knit for Kids website.